It’s Wednesday morning and you’ve arrived at work to find an inbox groaning with e‑newsletters, marketing messages and emails from contacts. Do you: a) open each one, b) start hitting delete, or c) head to the nearest cafe for a large latte? Which option you take will most likely depend on the emails’ subject lines. According to technology researchers Radicati, there were 124.5 billion business emails sent and received every day in 2018. That’s 125 business emails per internet user, per day. With so much email traffic, it’s not surprising that an email’s subject line is often the only thing a reader looks at before they decide whether to read it or keep scrolling. A poor subject line may even see your email marked as spam – 69 per cent of email recipients report email as spam based on the subject line alone. With the potential success of an email campaign resting on the strength of its subject line, it’s important that it pulls its weight. Even emails intended for just one or two recipients can benefit from a judicious subject line. Long subject lines run the risk of being cut off, particularly when viewed on mobile devices. Avoid using unnecessary linking words and details. Use punctuation to save on space. There’s no room for waffle or vagueness in a subject line. Use punchy, active verbs such as ‘cut’ and ‘act’, include important details and use numbers to get noticed. Use humour cautiously. A funny subject line will work well for some audiences, but it can also fall flat or even offend if you get it wrong. E-newsletters have a reputation for being boring (even though yours isn’t, of course!). Statistics show that open rates go down by almost 19 per cent when the word appears in the subject line. Words and phrases commonly used by spammers, such as ‘earn $’, ‘extra income’, ‘compare rates’, ‘you have been selected’ and ‘you’re a winner’, may make your email look suspicious. Other things that can make an email look like spam are using ALL CAPITALS, inconsistent CAPitaLisaTION, speling misstakes, special ch@racter$ or too many exclamation marks!!!! Always proofread your subject line when you check your email. ✗ You have been selected! Act now to a WIN a *F R E E* holiday!!! Highlight an intriguing statistic, pose a question or focus on a problem your readers want to solve. If they want to find out more, they’ll open the email. Just make sure that the subject line is relevant to your brand and the email’s content. ✓ Are you making these SEO mistakes? You’ve heard the phrase ‘bad news sells’. In fact, there is some evidence that people respond to negative words faster than positive words. An email subject line that taps into this negativity bias could increase open rates. This will not only help attract readers’ attention but also minimises the risk of vital information being cut off if viewed on a mobile device. If the subject of your email is good news for the reader, put that in the subject line. If it’s bad news, frame it as an ‘update’ so that readers have to click open to find out how the news will affect them. Websites such as Buzzfeed have made an art of coming up with clickbait-style subject lines (for example, “How intelligent are you?”, “You’ll never guess what happened next” and infamously, “Hi, you’re fired”) but tread carefully if you want to follow suit. Making over-hyped promises runs the risk of alienating readers. Many email marketing platforms offer functions designed to optimise the impact of subject lines. 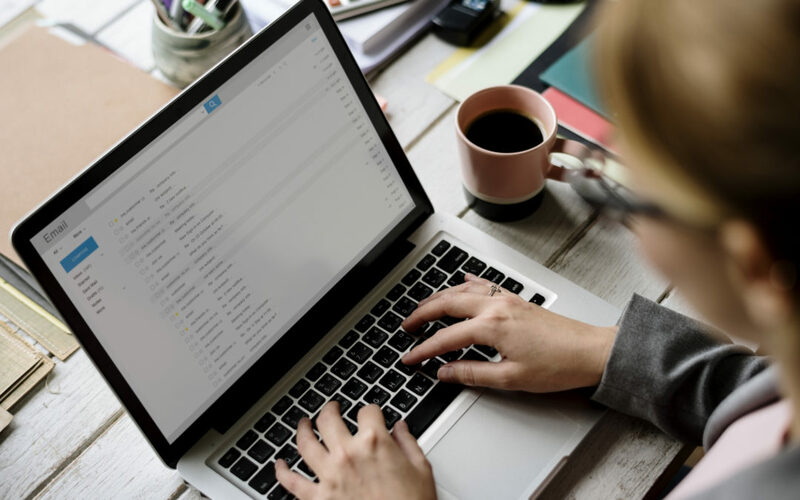 These include the ability to personalise emails by adding a subscriber’s name to the subject line (although personalised subject lines can easily backfire or look like spam, if you don’t do it well). You may be able to build segmented lists based on various demographics, allowing you to adjust the subject line’s tone for different groups. A/B testing also allows you to test two different subject lines on a small segment of your mailing list. The remainder of the list will receive the version with the highest open rate. Used in combination, these strategies can help ensure that your next email stands out in a crowded inbox. In the meantime, look out for our next email: “Open sesame: 9 ways to make your email subject line magic”. If you would like to talk to us about your next email campaign, contact us here.